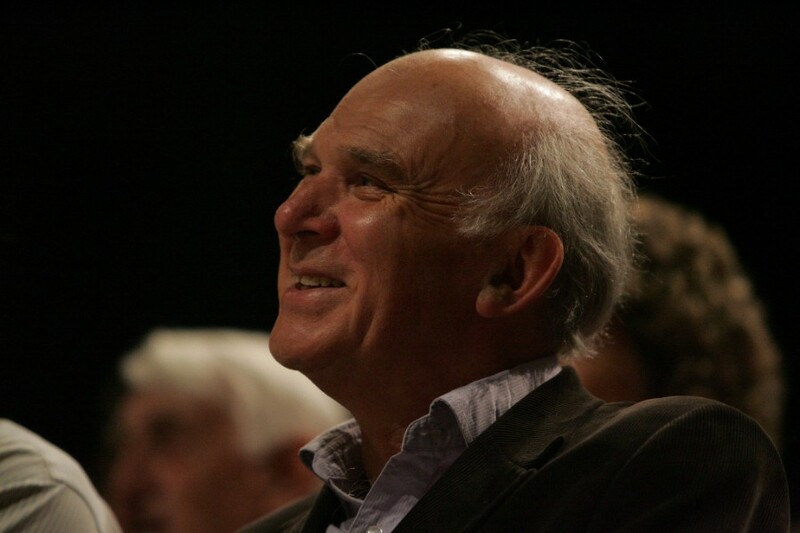 Liberal Democrat Newswire #116 came out last week, taking a detailed look at the proposals for party reform set out by Vince Cable – and including the way in which members can have their say before final decisions are taken. Earlier today Vince Cable gave his much (and frequently wrongly) trailed speech about reforming the Liberal Democrats and his own future. Long-time readers will be very familiar with the overall story here as Lib Dem Newswire first covered a registered supporters scheme as long ago as 2015, Vince Cable’s calls for the party to be opened up back in September last year, the new party strategy for building a broader liberal movement in March this year and then details about how a new registered supporters scheme could work in June. But both for newer readers who haven’t had the backstory and long-time readers who want to know what’s actually happening next, this edition brings a recap of the context, the details on what is being proposed and, near the end, the full text of Vince Cable’s speech from this morning. It’s always great to hear what readers think, and all the more so on a topic such as this where there is so much to be decided, including by the Federal Board on which I sit. Do hit reply and let me know, and I’ll feature a round-up of responses next time. I will also be at Lib Dem conference in Brighton. Do grab me and say hello if you see me wandering past head down. I’ll be the one still using a BlackBerry. 1. The party has been stuck at high single digits or occasionally just into double figures in the opinion polls for eight years. Our local government base, although growing, is growing at a rate that will take decades to get us back to where we used to be. 2. Even before the coalition years there were problems: our local government base was already shrinking pre-2010 (and its long-term growth had ended long before Nick Clegg became leader), our volunteer and financial resources have never matched overall the big parties we’re up against and our diversity has consistently been poor. 3. Yet there is a huge groundswell of small-l liberals, pro-Europeans who share our values yet who do not consider the Liberal Democrats a party they can fully sign up to as formal members. 4. We can learn from how to reach out to such people not only from colleagues in other countries – such as the Canadian Liberals – but also from some of our most successful local parties, such as Oxford West & Abingdon. They run de facto local supporter schemes and they work well. What’s missing is a way of rolling this out successfully across the country, and which involves, for example, party bodies who do great outreach to communities currently under-represented in the party. One scheme run across the party will make it much easier and more effective for each different part of the party to contribute to its success in their own ways. 5. There’s a bigger problem with the status quo too, as I set out in LDN #113: for every one member a local party has, party HQ on average has the email addresses for a further two people who have signed up to support at least one party campaign. We have a defacto national supporters scheme, but it is one from which local parties are mostly kept isolated: they don’t get the chance to email those supporters to involve them locally and these supporters in turn miss out on the chances to attend events near them. Changing how we do things is a chance to crack this problem and have one integrated system which benefits all parts of the party – and which focuses on what is best for recruiting, involving and energising those who are willing to campaign on our causes. 6. There is a double-urgency for change: the daily battering that liberalism is taking and, more parochially, the repeated talk of new parties and party splits. 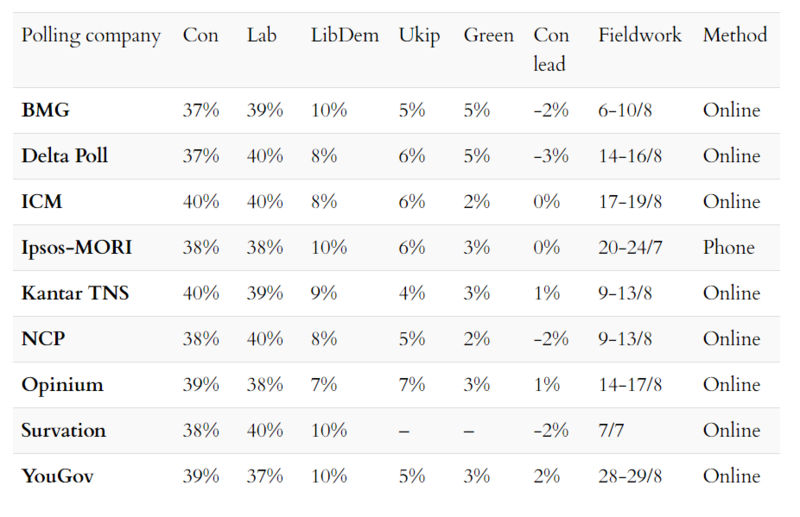 However those play out, the stronger the Lib Dems are, the more likely the outcome will be one Lib Dems are happy with – which is why we need to be stronger, sooner. 7. Organisational change is not the only thing the party needs to do to prosper, but it is important, it can generate extra resources that help bring about other changes too – and changing to be a more open and welcoming party is part of the party’s overall message too. Wanting to work collaboratively with others who share our views is part of the liberal message. 8. The party has done research which shows that a registered supporters scheme could help successfully appeal to the wider audiences we need to win over. 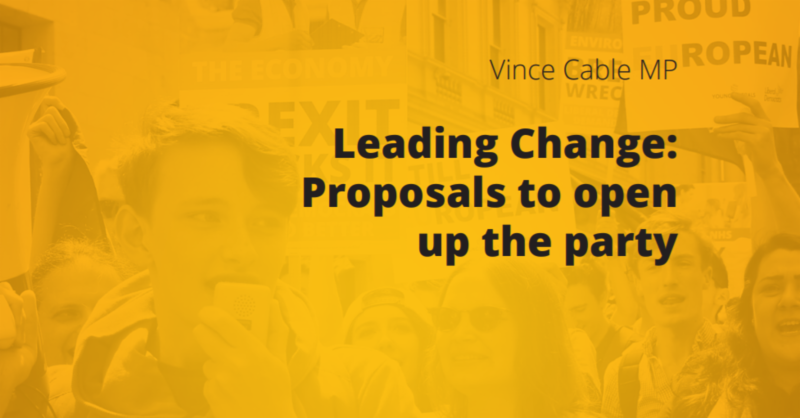 I think there are some questions about the details of what the research shows – such as how to my reading it makes involving supporters more in our policy consultations and policy processes more important that Vince Cable’s plans set out. But the overall picture is a promising one. Whilst success is not guaranteed, the evidence from the research, from what local parties have done and from sister parties all points in the same overall direction. 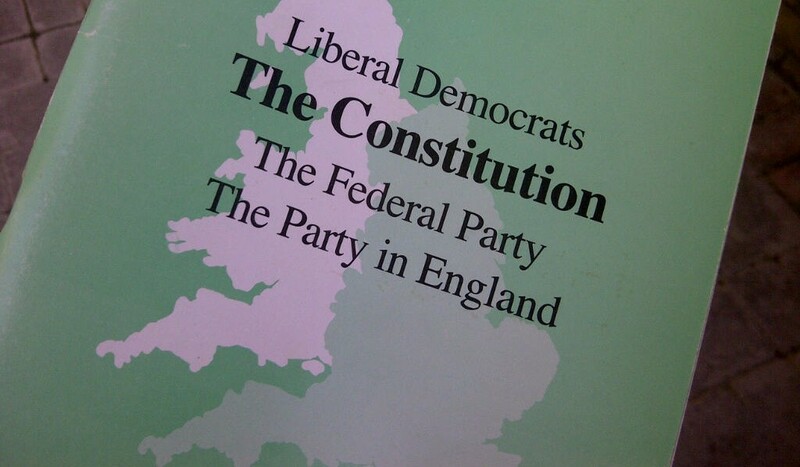 When it came to the speech, the party reform proposals were, as mentioned in the intro, as I’d trailed over the previous months and even years: build a broader liberal movement to provide the necessary wider support for the political success of the Liberal Democrats and to help fight the corner for liberalism week in, week out. Part of that is about reaching out to those who might want to join us as members, part of that is campaigning on issues which showcase our values, and part of that is about opening up the party’s rules to welcome more people into a broader Liberal Democrat family. I’ll turn to the full details below, but first, it is worth noting that one element which was however diluted somewhat in the final revisions to the speech. This was framing the plans as being about creating a “movement of moderates”. Talking about being moderate has always been a bone of contention in the party – is the party a centrist party, between extremes of left and right, or is it a liberal party for whom left and right is the wrong frame of reference? For those who lean to the former, moderate is a comfortable word; for those who lean towards the latter, it is a grating word, at odds with the idea of the party wanting radical change. However, away from the deployment of “moderates” when talking about appealing to pro-Europeans outside the Lib Dems, much of the rest of the speech referenced Liberal Democrats as being distinctive and radical. This question of direction for the party is part of what the debate on the Demand Better policy paper at Brighton federal conference will (or should) be about. There are many outside the ranks of Lib Dems who share our values, but what are the key redlines for who we would be happy to welcome in? The continued possibility of MPs leaving other parties makes this an issue not only for debates over internal party rules but also one for how the party should approach the possibility of changes to our party system. My own answer is that we should take the approach agreed at spring conference, in the strategy motion which I helped write. What’s your view? Despite much misplaced media speculation, Vince Cable did not quit as party leader. Yet I still have four clear objectives, which I intend to see through. It is also worth noting that both Jo Swinson and Layla Moran, the two people most frequently talked about as possible successors to Vince Cable, have been very positive about the plans. This is not just a passing idea; it is a plan for a long-term sustained change. 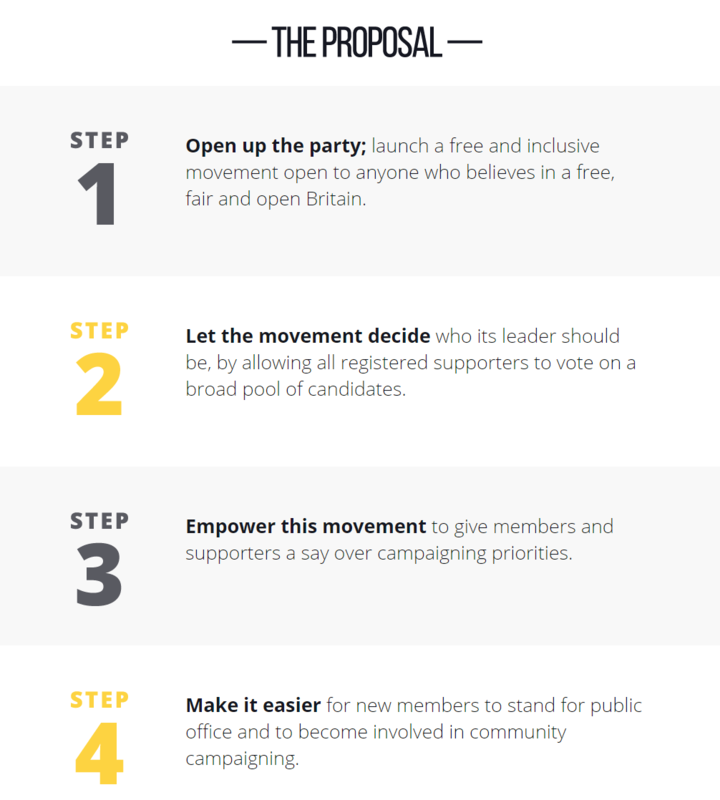 [These proposals] will be discussed in a special session at federal conference in Brighton led by Vince Cable, on Saturday 15 September at 1300, in the Balmoral Suite (this replaces the Federal People Development Committee’s session on a registered supporter scheme; a separate session on this will take place on Sunday at 1815 in Syndicate 2). All local parties are encouraged to discuss and debate these proposals after conference, and to send in responses :whether you support or oppose them, and whether you would like to propose any modifications to them. In the spirit of becoming a member-powered movement, every member should be able to express a view. To that end, Vince will ask the Federal Board to conduct a ballot of all party members in the autumn, asking them whether they support or oppose a final package of proposed reforms, reflecting the consultation results. This could become a model for the party taking big decisions on policy or its own constitution. If the ballot wins support for the package, Vince will then invite the Federal Board to submit the necessary constitutional amendments to Federal Conference, and ask the Federal Conference Committee to ensure they can be debated and voted on. Should the consultation process and the ballot show support for this proposal (the result of the ballot on this proposal should be counted separately for each state), Vince will recommend their adoption to the relevant state party bodies. The full consultation paper with all the details is here and includes details of how people can submit their views. Do please also let me know your views – I’m very interested to hear them. 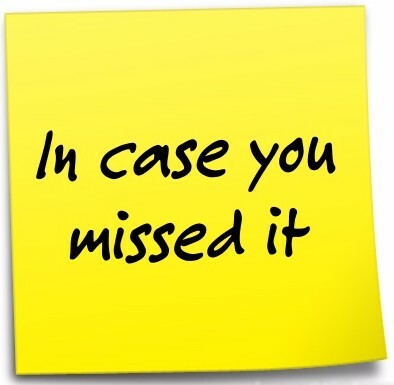 I use Botletter for my own Facebook Messenger newsletter. Why not give it a go yourself? As well as talking about party reform, Vince Cable has been talking about tax reform – in particular replacing business rates with a land value tax. His deputy, Jo Swinson, has been pushing legislation in Parliament to improve arrangements for shared parental leave and parental pay whilst her colleague in the House of Lords, Judith Jolly, has been setting our plans to tackle the crisis in social care. Layla Moran has been getting media coverage for setting out what is wrong with the Conservative education policies in England, and Ed Davey has been doing similar on immigration – and also admitting the party didn’t get its immigration policy right during the coalition years. Nick Clegg has pointed out how Brexit will actually take power away from people in Britain and Norman Lamb has been warning about how Brexit will damage British science. But Willie Rennie, the party’s leader in Scotland, is increasingly optimistic of the chances of stopping it – as is Vince Cable too. Finally, former Lib Dem MP Lembit Opik has had his Parliamentary pass withdrawn. Lib Dem out campaigning in Lambeth Council by-election, complete with new party slogan being put to work. Photo via Cllr Mo Saqib on Twitter. I first started pushing the benefits of a registered supporters scheme for the party in a pamphlet co-written with former Cambridge MP David Howarth in 2015. Our core votes strategy set out how such a scheme can be a key part of a coherent overall plan for rebuilding the Liberal Democrats and taking the party on to greater success than ever before. You can read our pamphlet in full and for free here. More cheer and two reasons for caution for pro-Europeans in latest polling. Hundreds of portable lavatories to be ordered in secret by Government as part of Brexit preparations. BMA warns no deal Brexit will risk outbreaks of infectious diseases. New party splits before it is launched: Twelve Together splits off from United for Change. Sometimes you need to read paragraph 34: Geoffrey Robertson’s legal opinion on defining antisemitism – I read this before the party’s Federal Board debated and then voted to adopt the IHRA’s definition of antisemitism, including the worked examples and noting the Home Affairs Select Committee’s clarifications. I was actually surprised at what Robertson’s opinion says as, in the context of this sort of decision, it’s the opposite of what it is often cited as saying. New Parliamentary selections in the last month have included Martin Wrigley and Beki Sellick. For a full list, including an explanation of what the acronym ‘PPC’ is all about, see my running PPC tally. Liberal Democrats gain seat from Conservatives in Knaresborough. From zero to 67%: brilliant Lib Dem win in Watton-at-Stone. A very promising return to contesting a ward in Sevenoaks. Only one Lib Dem candidate in the four council by-elections this week. 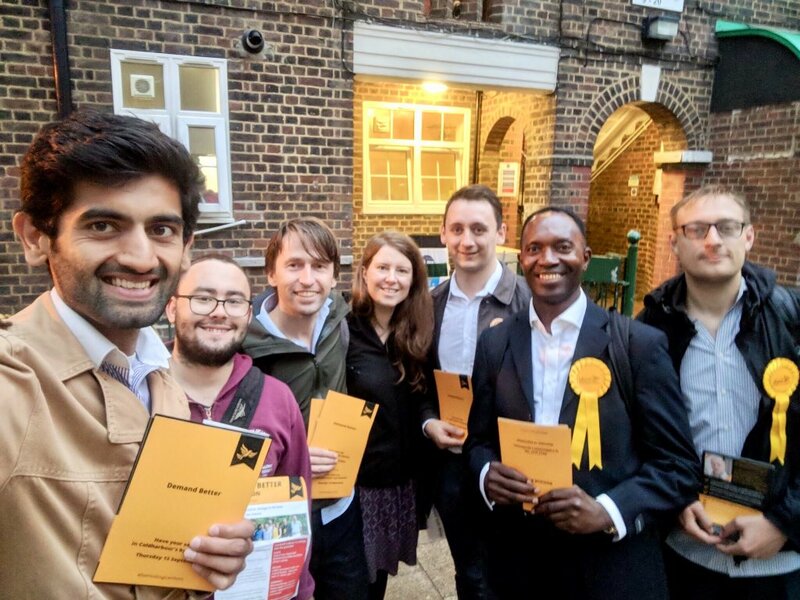 Outside of elections, however, the Liberal Democrats have been picking up council seats through people switching to the party in Hertfordshire, Shropshire and Tower Hamlets, although there was also the loss of a councillor to independents in Kingston. Since I started systematically tracking such switches earlier in this Parliament, there has been a definite uptick in the net movement to the Lib Dems. As with council by-elections, it is an indication that although the party is not yet leaping up in overall popularity, the circumstances for doing so are becoming more promising. To get the full council by-election results every week, sign up for my blog posts digest and for updates about new opinion polls, sign up for Polling UnPacked. To be prepared for a council by-election in your patch, see my 7-step guide to getting ready in advance. Fellow Federal Board member Alice Thomas’s piece on Lib Dem Voice was about one of the most important set of decisions Lib Dem members have got to make at federal party conference in Brighton this month. Whilst there will be plenty of consultation on party reform plans, there are also decisions to make about other elements of the party’s rulebook. That definitely can sound less than exciting (!). But these changes would be to the party’s disciplinary processes. Getting those procedures wrong can (and has) made a massive difference to people whose lives are affected by them. The recent and current experiences of other parties, such as the SNP, Greens and Labour, are a warning to add to our own party’s experiences of the importance of having robust, fair systems that can resolve cases in good time. Back in 2013, Helena Morrissey produced an independent report on the processes and culture of the Liberal Democrats. This was followed by the disciplinary review by Ken Macdonald, former Director of Public Prosecutions, in 2016-17, which in turn incorporated the recommendations from a separate review of party handling of complaints of sexual impropriety by barrister Isabella Parasram. Each of them consulted with party members with experience of the pitfalls and flaws in the existing process, and in each case they came to the same conclusion many of you have: the current disciplinary process fails people. There’s a chance to put that right in Brighton with the new system being proposed. The country is bitterly divided (over Brexit) and the politics of the main parties leaves millions of voters, broadly those in the ‘centre ground’, feeling ignored while they get on with their internal civil wars. The problem is obviously not the same everywhere and in some countries – France, Canada, Ireland – there are encouraging counter-currents and we need to learn from them. But in Britain, there is the additional problem of a first-past-the-post voting system which entrenches the position of the two established major parties. I see two big steps we need to take. First, I want to bring values back into our politics providing a rallying point for those who are committed to defend liberal democracy; challenge extremes of inequality and barriers to opportunity; uphold our civil liberties; maintain an open, outward-looking country and protect our environment. We must make it easier to get on board. One example we should look positively at is that of the Canadian Liberals who rose from being a distant third party to becoming the party of government, in one leap. What I’m setting out today is a starting point for that endeavour, and it is one on which every Liberal Democrat member will have their say. I see essentially three steps to reforming the party. Of course, we have to be careful but we cannot be afraid of opening windows lest a few flies get in. In any case, the Liberal Democrats are different. We are not a socialist party concerned with extreme-left entryism, or a right-wing party trying to keep extreme right-wingers out. We are a centre-ground, pro-European, liberal and social democratic party, welcoming like-minded supporters. A third step is to open up the party leadership to a wider field than MPs by allowing party members to put themselves forward. There would, of course, be an approval and shortlisting process, run by the party, to make sure that anyone putting themselves forward shared the essential values of the party and had the political capability for the job. We also have to engage in party realignment: we have to recognise that – despite our best efforts – the Liberal Democrats may not be the only centre-force in British politics in the coming years. It’s the worst kept secret in Westminster that political disquiet in the two big parties is provoking some people to consider the formation of a new party of the centre ground, or several. If you have read down this far, there is a good chance you also like reading these newsletters. In which case, a quick request: with readership having more than doubled in the last two years, the costs of running this service are also going up. 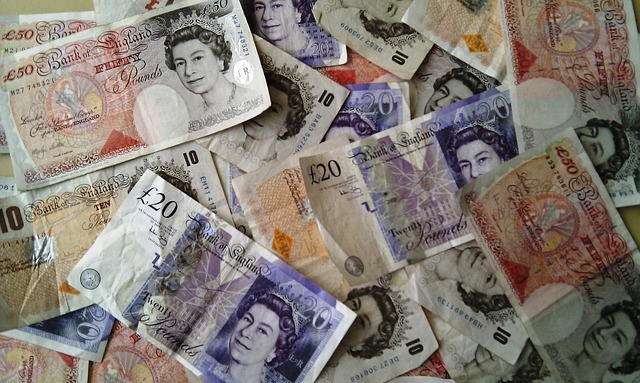 Could you make a small regular donation to help cover the costs? If you are one of those who have already done so, many thanks: your support is much appreciated.